Learn. Create. Grow. Art Classes to help you express yourself creatively. Courses to help you express yourself with art. 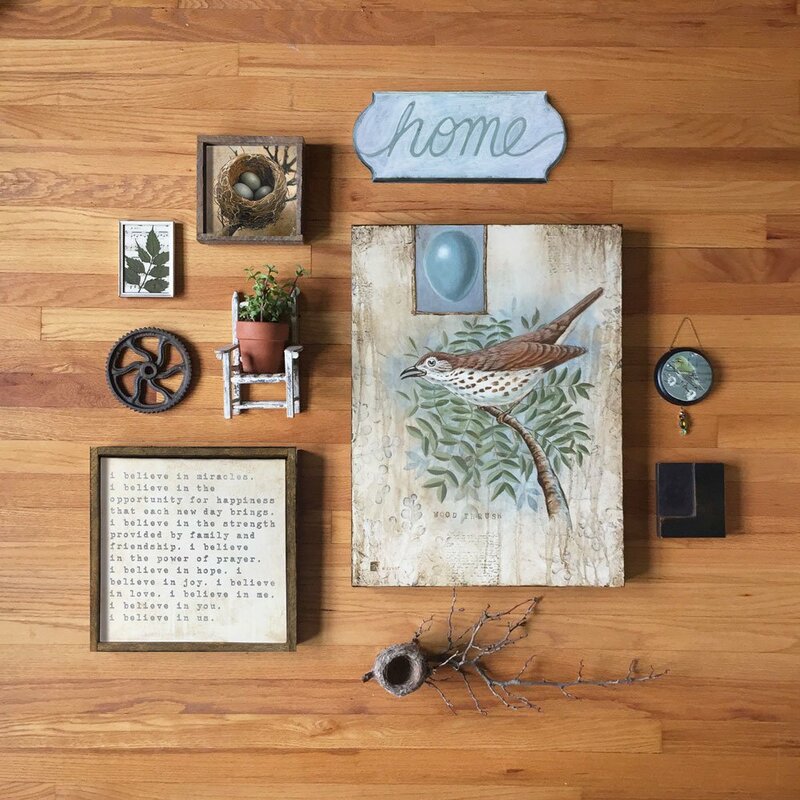 Join the free GALLERY WALLS MADE EASY challenge to get started. 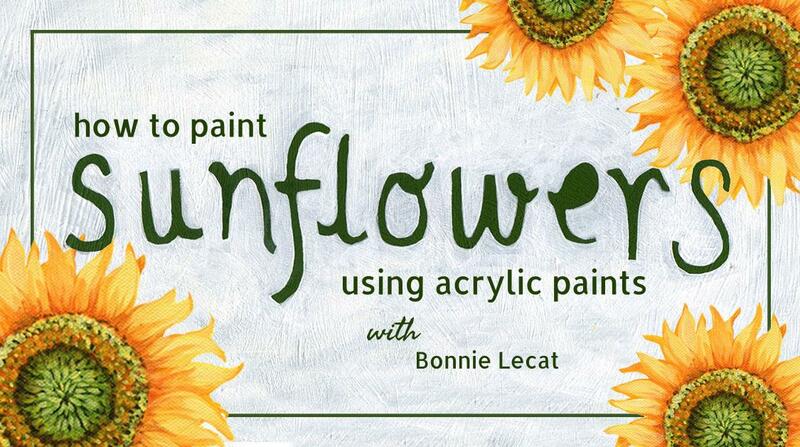 Learn acrylic painting basics and brushwork by demonstrating how to paint a simple sunflower in just a few easy-to-follow steps. No prior painting experience necessary! This 35-minute class is great for beginners and includes links to supply resources and printable sunflower reference. 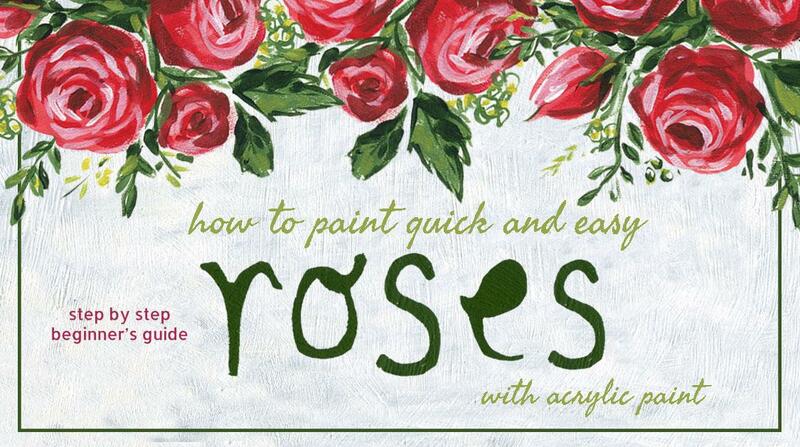 Learn acrylic painting basics and brushwork by demonstrating how to paint some decorative roses, leaves, and greens in just a few easy-to-follow steps. No prior painting experience necessary! This fun and easy course is great for beginners and includes links to supply resources and printable reference. 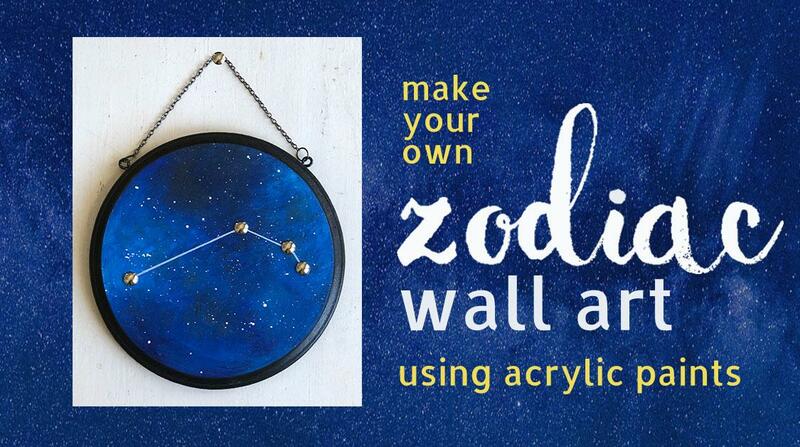 Learn to paint your own trendy celestial wall art with artist Bonnie Lecat. In this class, Bonnie will teach you how to use acrylic paints to create a galaxy with stars and a three-dimensional zodiac constellation. 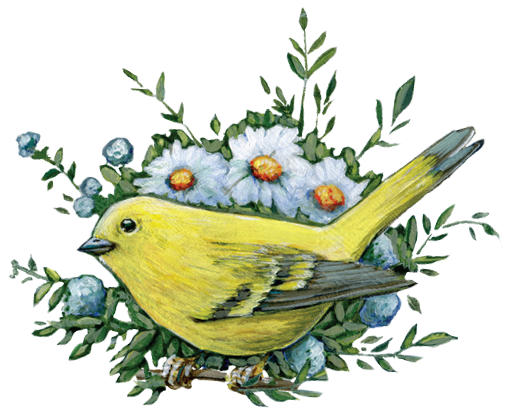 This class is suitable for all levels and is for anyone who: 1) wants to learn how to use and blend acrylic paints, 2) is interested in making cool art to give as a gift, 3) is looking for a fun and easy art project they can make in under an hour. 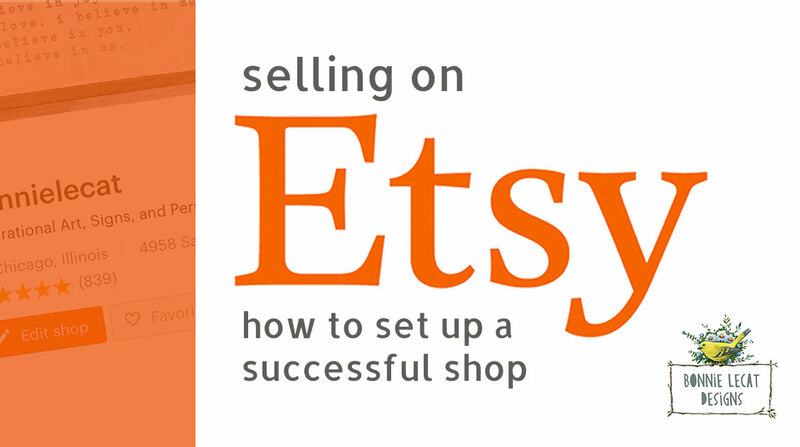 Learn 5 important elements of a successful Etsy shop along with advice, links, and resources to help you create a profitable creative business. Selling on Etsy isn’t easy! Don’t waste your time creating a shop without first knowing what works and what doesn't. -How to get your shop noticed by creating a memorable brand and shop personality. At the end of this class, students will have the information they need to start setting up their online stores for success! This class includes a BONUS downloadable guide with over 30 links and resources to help you become a successful Etsy seller!